Draped in a suit of somber black the Earth rattled with seismic vibrations and the land of rising sun— Japan, home to Hachiko braved & bereaved the aftermath of earthquake & Tsunami. It wasn’t the island nation alone but the entire humanity that stood in horror of the irremediable cataclysm & the toll it took. Marred by melancholy, the mornings of mourning haven’t subsided Japan but the hope lives on. The calamity seeping in the regions quivered not only the earth but also the fallacy of human hold over nature. Despite breakthrough technological advancements and scientific progress, all in all, we are the proverbial ‘dust in the wind’ belittled by the juggernaut of nature. Japan holds a very special place in animal-loving hearts; the true tales of compassion from the land always make one crave to discover more. 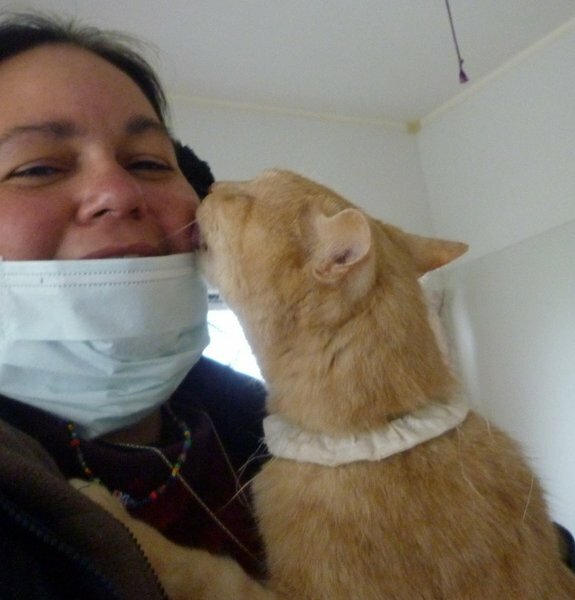 While efforts were being made by rescue workers to search for human survivors in the rubble of buildings, animal welfare groups also pitched in to rescue Japan’s animals. Here’s a solemn prayer for the grief-stricken souls, a pean for their courage that refuses to fade. With the hope that the mystical eastern charm spells serenity, I’d leave you with the video byte(s) that have taken the internet by storm. An endearing emotion captured on camera denoting canine love & loyalty. Visit the JEARS’ Facebook page to learn more about their efforts and to donate to their cause. Oh my this was heartwarming. I am glad help is near everyone and I hope things get normal soon! Its great to know that some souls took time for animals too! Feels good to know that.. being so compassionate!! Awesome. I saw this on the internet sometime back. Awesomely inspiring, touching, motivating. Had goosebumps! Such is the factual reality, incredibly true & inspiring! O Japan ! good to know u can think for the animals in this natural disaster. After all this world is not ONLY human’s world but theirs too…. It’s not apathy towards humans, but the empathy for humans and animals alike that drove this post. Disasters ruin everything in its wake, here’s hoping for peaceful times ahead. A sterling display of character, of how people can extend a helping hand in times of tribulation, not just to themselves, but to every being that needs support! The situation in Japan is moving and I believe it is sheer discipline and will that is tiding folks there over these testing times! I don’t think that is Matsumura-san’s page. Rather it is someone posing as Matsumura. Previous Previous post: Face of friendship! Next Next post: Knut, the world’s most famous polar bear!